Sauvignon Blanc is the engine that drives the country’s international growth, but its top whites demonstrate diversity and complexity. New Zealand’s rise on the international wine scene was predicated on a single grape variety from a single region: Sauvignon Blanc from Marlborough. The first plantings are scarcely 30 years old, but they have defined an entire country’s wine image. Indeed, the country’s cool, generally maritime climate seems made for growing white grapes, allowing for the retention of ample natural acidity across the wide range of planted varieties. That list now extends well beyond Sauvignon Blanc to include stalwarts like Chardonnay, Gewürztraminer, Pinot Gris and Riesling, but also Arneis, Grüner Veltliner, Verdelho and Viognier. This short list of the country’s best white wines reflects only a sliver of New Zealand’s blossoming diversity. Future lists will no doubt encompass even more varieties, as existing vines age and new cultivars become available. When Tim Turvey planted grapes at Te Awanga in 1988, the first vines he put in were Cabernet Franc. “I was in love with Cheval Blanc,” he says, referring to the renowned St.-Émilion château. But shortly afterward, he planted Chardonnay. Turvey’s Te Awanga Chardonnay vines overlook the ocean, separated from the sea by only a road, a few ramshackle buildings and a narrow beach. To the right are striking views of the cliffs below Cape Kidnappers. In a country known for cool, maritime sites, this is one of its ultimate expressions. Available only in New Zealand, his luxury Chardonnay bottling, Endeavour, made from vines planted in 1989, is New Zealand’s most expensive white wine at 125 New Zealand dollars, or $93. This richly fruited, lavishly oaked, opulent wine makes a luxurious contrast to the rustic, surf-shack aesthetic of the original winery, now turned cellar door and restaurant. For the American market, Turvey offers one of New Zealand’s most dramatic unoaked Chardonnays—redolent of tropical fruit and citrus—and the flagship Reserve Chardonnay. “That sees about 60 to 70 percent new oak,” says Turvey. Despite that, the Reserve Chardonnay remains fruit driven, with crisp citrus notes when young that gradually unfurl over several years into white peach and sometimes tropical flavors, all framed by elegant notes of toasted nut and grain. 93 Clearview 2007 Reserve Chardonnay (Hawkes Bay). Meadowbank Estates. Editors’ Choice. In 1986, the Brajkovich family’s San Marino Vineyards was rechristened Kumeu River Wines and a new era was born. Chardonnay became the focus, and today, the wines are often mistaken for Burgundy in blind tastings. Originally, there was a single Estate Chardonnay, but following the Burgundian meme, winemaker Michael Brajkovich, MW, has introduced a number of single-vineyard bottlings. There’s also a Village bottling, which corresponds to a French villages-level wine. It features less oak and a lower price tag than the other Chardonnays. Although the various Kumeu River Chardonnays differ considerably, they all share a sense of balance and restraint. The oak elements are beautifully integrated, seamlessly supporting the concentrated white peach and citrus fruit with hints of toast. 92 Kumeu River 2009 Maté’s Chardonnay (Kumeu). Wilson Daniels Ltd.
91 Kumeu River 2008 Estate Chardonnay (Kumeu). Wilson Daniels Ltd. Editors’ Choice. 91 Kumeu River 2008 Hunting Hill Chardonnay (Kumeu). Wilson Daniels Ltd.
90 Kumeu River 2008 Coddington Chardonnay (Kumeu). Wilson Daniels Ltd.
87 Kumeu River 2009 Village Chardonnay (Kumeu). Wilson Daniels Ltd.
Those were the days…the days back in 1978 when a couple of young adults “getting back to the land” could buy a rundown property and turn it into something special. Now, more than 30 years later, Neudorf’s Moutere Chardonnay is one of New Zealand’s top white wines. In 2010, a bottle of the 2001 was drinking so beautifully that I rated it 93 points (nonblind). The 2009 edition looks to be at a similar level of quality and aging potential. And in between, owners Tim and Judy Finn have overseen a nearly unbroken run of consistently excellent quality (to be fair, the runt-of-the-litter 2002 was still very good, just fading a bit). The word “Moutere” on the label derives from the Moutere Hills, where the winery’s home vineyard is located, but also from the underlying soils. Through some serendipity, these gravel-laced clay subsoils provide just the right environment for the winery’s Mendoza clone of Chardonnay. Maligned in some quarters, here the Mendoza clone produces wines with ample weight and texture while never losing their sense of balance and proportion. 93 Neudorf 2009 Moutere Chardonnay (Nelson). The Vintner Group. 92 Neudorf 2008 Moutere Chardonnay (Nelson). The Vintner Group. 90 Neudorf 2008 Chardonnay (Nelson). The Vintner Group. Editors’ Choice. Villa Maria founder and Managing Director Sir George Fistonich (he was knighted in 2009) celebrates his company’s 50th anniversary this year, but has never been content to rest on his laurels. Back in the 1960s, when he was a self-described one-man band, “making wine at night, traveling around and selling it during the day,” Fistonich couldn’t have predicted the success he would go on to have with Chardonnay. But in 2012, 50 years after his first awards for Villa Maria “Burgundy” and “Claret,” it almost seems not to matter from where the company sources its Chardonnay. Seemingly through some sort of winemaking magic, nearly all of the company’s black-label releases—typically five or more in any given year—merit recognition. Personal preference comes into play when picking favorites among the single-vineyard wines from Ihumatao (in Auckland), Keltern (in Hawkes Bay), Taylors Pass (in Marlborough), or the Reserve Chardonnays from Gisborne, Hawkes Bay and Marlborough. All are entirely barrel fermented and aged, yet the percentage of new oak is so carefully judged and the fruit characters of the wines so concentrated that the oak comes across as a supporting force rather than a dominant one. The current critics’ darling is the 2010 Keltern Vineyard, which scooped the Chardonnay trophy at several New Zealand wine shows last year, but the Taylors Pass bottling (the only blacklabel release available in the United States) is an excellent wine in its own right and well worth seeking out. At a lower price point and with much larger quantities produced, Villa Maria’s Private Bin Unoaked Chardonnay provides a budget-friendly alternative. For American consumers who want a taste of what Villa Maria can do with Hawkes Bay fruit, the company also offers an excellent Hawkes Bay Chardonnay under its Esk Valley label. 92 Villa Maria 2009 Taylors Pass Vineyard Chardonnay (Marlborough). Ste. Michelle Wine Estates. Editors’ Choice. 90 Esk Valley 2010 Chardonnay (Hawkes Bay). Ste. Michelle Wine Estates. Editors’ Choice. 85 Villa Maria 2010 Private Bin Unoaked Chardonnay (Marlborough). Ste. Michelle Wine Estates. It seems awfully counterintuitive. Take New Zealand’s warmest, wettest grape-growing region and pair it with a cool-climate variety to create one of the country’s best wines? Only true visionaries could have predicted it. And by adopting biodynamic farming in the early 1980s, owners James and Annie Millton proved they had the requisite foresight to pull it off. The Te Arai Vineyard was planted in 1984, so the fruit used in this wine comes from vines that are nearing 30 years of age, planted on valley floor silts. It’s all hand-picked, then fermented in a mix of oak demi-muids (600-liter barrels) and stainless steel using indigenous yeasts. Millton says that he considers the Chenin Blanc from the Loire a benchmark, and while his wine is fruitier and more forward than most Loire Chenins, it can sometimes show the touches of wet wool so common there. It’s a wine that’s remarkably consistent from vintage to vintage, always combining New World fruitiness and Old World complexity in its own unique way. 90 Millton 2010 Te Arai Vineyard Chenin Blanc (Gisborne). Verity Wine Partners. That was back in 1980. Today, although the winery produces several other varieties for which Marlborough is better known, it’s still the Gewürztraminer that sets Lawson’s apart. It’s always varietally evocative, featuring textbook rose-petal, lychee and spice shadings. And while it’s never oily, overdone or blowsy, it’s never lean, bitter or sharp, either. It has just enough sugar to provide balance without seeming overly sweet. Individual vintages of some other New Zealand Gewürztraminers can sometimes eclipse Lawson’s, but for consistent quality and style, no one hits the mark more often. With 200 cases imported of the 2009 Gewürztraminer, more of the 2010 and a price that’s based more on (lack of) fashion than quality, Lawson’s Dry Hills Gewürztraminer is one of the easiest to find and the least expensive wine on this list. Visitors to New Zealand may be able to find Lawson’s 2010 The Pioneer Gewürztraminer, made in a vendange tardive (late harvest) style, from the winery’s original plantings. It stole the judges’ hearts (including mine) at the 2011 Air New Zealand Wine Awards, where it won the trophy as best exhibition white or sparkling wine. 90 Lawson’s Dry Hills 2009 Gewürztraminer (Marlborough). The Vintner Group. Editors’ Choice. Dry River was a cult wine in New Zealand before anyone had ever heard of the term. Founder Neil McCallum, Martinborough’s self-proclaimed “certified geriatric of the district,” planted his Pinot Gris on its own roots in 1979, part of the first 8.5 acres he developed. The Dry River style of Pinot Gris is one that emphasizes concentration and texture. To achieve this, yields are low—2 tons per acre—and ripeness levels are high. Most vintages weigh in at 14% alcohol, yet still contain considerable residual sugar. The resulting wines are broad and rich, lush in texture but rarely fat. Growers consider Pinot Gris notoriously fickle, and the berries’ pink-tinged skins can make managing the phenolics difficult in the winery. But since I first tasted Dry River’s 1999 during a trip to Martinborough in 2000, the winery has hit the mark year after year, putting it firmly atop the burgeoning list of New Zealand Pinot Gris. 90 Dry River 2009 Pinot Gris (Martinborough). RO Imports LLC. Felton Road is probably best known for its Pinot Noirs, admittedly among New Zealand’s finest. The Chardonnay is pretty good, too. 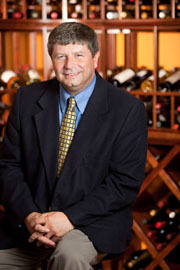 But the insiders’ wines are the three Rieslings crafted by winemaker Blair Walter. The largest production Riesling—and the only one regularly seen in the United States—is the Bannockburn bottling. It’s made in a style similar to a German spätlese, with about 9% alcohol and 60 g/L of residual sugar. Despite the considerable sugar, the wine doesn’t seem overly sweet because acid levels can be as high as 12 g/L. There’s also a dry Riesling and the Block 1 Riesling, which replicates the spätlese style, but from a single vineyard parcel. Common to all three Rieslings is that rare combination of power and precision. Biodynamic farming practices contribute to low yields and concentrated fruit, while the region’s cool night temperatures result in high acid levels and tremendous focus in the finished wines. 90 Felton Road 2010 Bannockburn Riesling (Central Otago). Wilson Daniels Ltd.
Say what you will—overpriced, overhyped and overcommercial have all been used to describe Cloudy Bay Sauvignon Blanc—but there’s no denying that this wine ignited New Zealand’s international rise to wine stardom. And despite huge increases in production over the years, changes in vineyard sourcing and turnover in personnel, it has maintained a remarkable track record of excellence. The current winemaker, Sarah Burton, makes it clear that her job is to continue to improve the wine, not just maintain it. “I’m trying to pull up the flavors, make the wine more expressive on the nose and working on texture and weight,” she says. Three percent of the 2011 Sauvignon Blanc is barrel fermented, just one of the ways in which she’s trying to accomplish that. Cloudy Bay was one of the pioneers in barrel fermentation of Sauvignon Blanc in New Zealand, which eventually led to its Te Koko bottling. Te Koko is entirely barrel fermented using indigenous yeasts, resulting in a complex, richly textural wine with more similarities to white Graves than to most Marlborough Sauvignons. The 2010, which I tasted out of barrel last year, looks sure to be stunning when it’s released. Like Cloudy Bay’s original Sauvignon Blanc, it has spawned a whole new generation of Marlborough wines. 90 Cloudy Bay 2011 Sauvignon Blanc (Marlborough). Moët Hennessy USA. 91 Cloudy Bay 2010 Sauvignon Blanc (Marlborough). Moët Hennessy USA. Editors’ Choice. Compared to most of the other wineries on this list, Dog Point is a youngster—its first vintage was only in 2002. But the team behind Dog Point is made up of veterans of the Marlborough wine scene. Winemaker James Healy and viticulturist Ivan Sutherland worked together for years at Cloudy Bay before starting their own project. Off their 250 acres of vineyards, the majority of the fruit is still sold to Cloudy Bay, with only about 35% used in Dog Point. Crop levels are lower in their own sections of the vineyard than in the contracted blocks, and all of the fruit destined for Dog Point is hand-picked. Healy became enamored of indigenous ferments while developing Te Koko at Cloudy Bay, and Dog Point’s Section 94 takes that to the limit, being entirely barrel fermented with “wild” yeasts. “We don’t put Sauvignon Blanc on the front label because we don’t want to confuse folks who might think its Marlborough Sauvignon Blanc,” says Healy. Even Dog Point’s regular Sauvignon Blanc (which does have the grape variety listed up front) includes a healthy proportion of wild ferment and stands apart from other Marlborough Sauvignons for its complexity and richly textured palate. These are Sauvignon Blancs that take the variety to places far beyond the ordinary while expressing their own unique styles. 93 Dog Point 2011 Sauvignon Blanc (Marlborough). Vintus LLC. Editors’ Choice. 90 Dog Point 2008 Section 94 Sauvignon Blanc (Marlborough). Vintus LLC. Unlike some of the other names on this list, Eradus remains largely under the radar. Five consecutive years of 90-plus scores for its Awatere Valley Sauvignon Blanc, and now this mention, should help to change that. The Eradus family, originally from the Netherlands, “retired” from the flower business to the vineyard in 2002 and then passed the reins to their children in 2004. They’re assisted by former Corbans viticulturist Jeremy Hyland and former Kim Crawford winemaker Jules Taylor (she also has her own burgeoning label). The Awatere Valley is a subregion of Marlborough, but it’s almost a world of its own, separated from the main (Wairau) valley by a range of hills. It’s cooler and more open to the sea, with harvest dates that can lag behind the Wairau Valley by as much as two weeks. Yet, these extreme conditions are what give wines from the Awatere much of their character, often characterized as leafy or herbal. A little bit of Awatere fruit goes a long way to spicing up and enlivening regional blends, but pure Awatere wines aren’t always successful. What makes the Eradus Sauvignon Blanc so remarkable is its quality and consistency year after year in a region known for weather extremes and vintage variation. It has the Awatere’s hallmark green notes, but balances them with notes of pineapple, passion fruit and citrus. 90 Eradus 2010 Sauvignon Blanc (Awatere Valley). Rad Grapes. Editors’ Choice. 91 Eradus 2009 Sauvignon Blanc (Awatere Valley). Rad Grapes. Editors’ Choice. I recently heard Saint Clair’s Sauvignon Blanc program derided as “recipe winemaking,” by the owner of another Marlborough wine company. If it’s a recipe, it must be the vinous equivalent of Julia Child’s Roast Chicken, yielding consistent results, but with endless delicious variations. The mainstream versions of Sauvignon Blanc—the Vicar’s Choice and the regular bottling— do typify Marlborough Sauvignon Blanc. But as relatively large-production regional blends, that’s exactly what they should do. Things get really interesting when tasting through the winery’s limited-release Pioneer Block offerings. The various blocks all show unique personalities coupled with great concentration, intensity and length, with different years favoring different blocks. Consulting Winemaker Matt Thomson has been with Saint Clair since its launch in 1994, giving the wines admirable continuity. 92 Saint Clair 2011 Wairau Reserve Sauvignon Blanc (Marlborough). Winesellers Ltd. Editors’ Choice. 92 Saint Clair 2011 Pioneer Block 3 43 Degrees Sauvignon Blanc (Marlborough). Winesellers Ltd. Editors’ Choice. 90 Saint Clair 2011 Pioneer Block 1 Foundation Sauvignon Blanc (Marlborough). Winesellers Ltd.
90 Saint Clair 2011 Pioneer Block 18 Snap Block Sauvignon Blanc (Marlborough). Winesellers Ltd. Honorable Mention Top: Contenders who narrowly missed making it to the podium.